Kritters Thoughts: Mariah Dunning's mother vanished over a year ago and she has searched endlessly to find her and bring her home safely. When she thought all clues had come up short she meets a a guy who is into unsolved crimes and sends her down a path she could have never predicted. Could her mother's disappearance have something to do with the disappearance of another Beth? I always love a book where the person hunting down the clues is an amateur. I appreciate their innocence of following a clue that ends in a dead end and then when the case finally breaks open it is overwhelmingly exciting. I like these types of mysteries because I feel as though I am on the same playing field as the main character, they don't have any extra detective skills that I do not! I loved how the clues weaved you in and out of Austin and Houston. There almost seemed to be multiple questions and mysteries to be solved at the same time. I liked how some of the clues ended up solving the main mystery and then some did not, but there were still a clue worth keeping in your pocket. 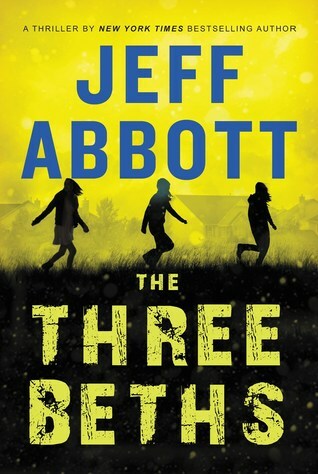 This was my first Jeff Abbott read although I own a few so I will definitely have to pick up the others quickly because I just truly enjoyed the writing.